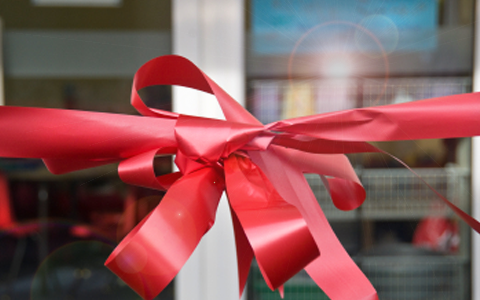 Setting up and running your own business can be one of the most exhilarating experiences and yet also many will agree one of the most stressful. You will experience major highs to major lows every week, but it’s important to stay positive. Focus on solving a problem, not just what you like to do. It’s often preached that to be successful you have to really love what you do. This is more than a fair point. If you are truly passionate about what you do every day then you’re bound to work harder, because it is something you absolutely love and look forward to getting up for every single day. However, this is by no means the key to a business’s success, and often it can be a contributing factor in the failure of a business. Too often new business owners, or entrepreneurs, focus solely on what they like and what they enjoy best in their business, rather than focusing on solving a problem or even developing the original idea to create the very best product that customers will want. Idea: Take a look at many of the failed presentations on the TV show Dragon’s Den, where the aspiring business owner loves their idea, but the Dragon’s tear it to shreds as the owner has failed to show a market or profit for their product or idea. Make sure you don’t get caught up in how passionate you are about an idea, mistaking how much other people may be passionate about it and how much real success it can have. With the birth of the internet and the spectacle which is the ever growing social networks like Facebook and Twitter it is very easy to get caught up in the idea that online marketing is the only place to spend your money. This is far from the truth! The more traditional marketing methods like business cards, banners, radio and your local directories are some of the strongest areas, and in today’s digitalised social media frenzied age also some of the most respected now, for reaching and securing your target market. Of course we’re not saying that you entirely ignore the twitter and Google + accounts. There are strong connections to be made there and they can be great for managing customer service or simple enquiries, but it’s too simple to side-line traditional marketing methods for Google Ads and it’s important to find the right mixture for your business. 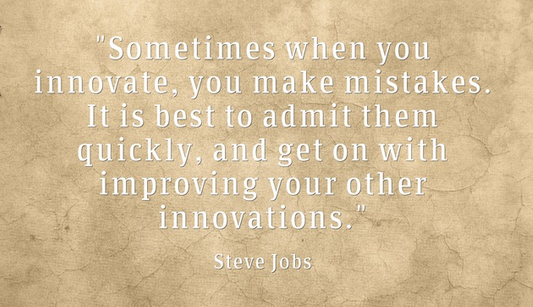 It goes without saying that every new business owner will make mistakes. You’re working on a tight budget, and will inevitably want to protect your idea. You’ll also come across hundreds of issues during your business launch most of which you wouldn’t have thought of beforehand. It’s important that you learn from these problems, redeem the errors and make the failure just a mere measure of your strength and success by putting into practice what you’ve learnt. Tip: Never put your head in the sand hoping nobody notices your mistakes, be open, truthful and you’re far more likely to succeed. They say that a customer who has had a good experience with a business will, on average tell one person, but someone who has had a bad experience will tell seven. Although this sounds extremely negative, it becomes immediately more positive when you learn that a customer who originally had a bad experience will tell more people about how good your service is, if you redeem your mistake and transform their experience into a positive one. It’s important to remember that everybody wants to feel important and at the same time everyone wants to feel like they got a good deal. If you go out of your way to make a customer feel cared for and give them an extra special deal, they are far more likely to tell people about how good your eventual service was, rather than focus on the original bad service and experience. Complaints are also a great opportunity for you learn what can make your business better. Tip: Have you’re ear to ground, please disgruntled customers and learn from what your customers are saying. Tip: Embrace the challenge and you will go from strength to strength. 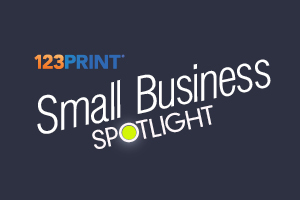 Here at 123Print UK we’re massive fans of small businesses. After all – you’re the backbone of our business and the backbone of our country! Because of this we’ve decided to dedicate part of our blog to you; giving you the chance to talk about your business and tell others how you got started and what makes you great. This week in the 123Print UK small business spotlight is Dewlay Cheesemakers, a 3rd generation family run business who’ve became famous for having a passion for traditional handmade Lancashire cheese. Read on as we meet Conor Daunt, Commercial Director at Dewlay, who talks us through what makes Dewlay Cheesemakers such a fantastic small British business. Conor, how did you get started with your business? 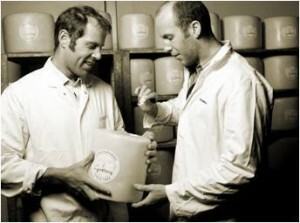 Dewlay was set up in 1957 by George Kenyon, grandfather of the current owners, to produce Lancashire cheese to sell to local cheese markets and independent cheese shops. The name came from the French terms “Du Lait” meaning “of milk” or “from milk”. In due course, George handed the reins to his son Neil who moved the business from its original site in Garstang, to a modern facility outside the town. The business is now headed up by Nick & Richard Kenyon, grandsons of the founder George. Like all companies, every day brings challenges, but then again each day brings great opportunities. Key challenges including balancing investment plans with time pressures, and always keeping an eye on the “big picture”, and ensuring that the cost base is managed correctly. Margins tend to be tight in the cheesemaking industry so keeping a close eye on all aspects of the business is critical. What has been the proudest moment this year? We’ve had an amazing year here at Dewlay. Our on-site cheese shop & viewing gallery is fast becoming a real foodie destination and we’ve been busy all year with tour groups, schools and individuals coming to see how we make cheese. We’ve had a great year with cheese awards too, and our proudest moment was winning four prestigious cheese trophies at the Nantwich International Cheese Awards this year, including best Lancashire cheese, and best Cheshire cheese! 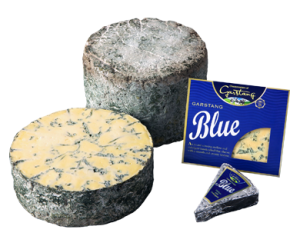 We also picked up 5 Gold Awards and 6 other medals for our range of cheese. To receive such accolades from our industry peers and hearing the feedback from so many happy customers drives us to continue to produce cheese of the highest quality and bring our range to new customers here in the UK and around the world. Over the past few years we’ve embraced social media tools such as Twitter & Facebook, and used our own website as a means to promote news, events & offers, and found these to be extremely helpful in keeping in contact with new and existing customers. As a business we use everything from flyers and catalogues, online and print advertising, special offers, recipe blogs and so on. What we’ve found is that different materials can be used to attract the same customers, but the important thing is to know who your target market is – and realise that some of your products may have different target markets! My overall advice would be to just do it, and don’t be put off by the many hurdles – many completely unexpected – that will come your way. Make sure you really enjoy the business that you want to get into as very soon you will be living and breathing it! Get a good team of people behind you as to be successful, you will need to be able to delegate responsibility to ensure all parts of the business work efficiently and successfully. Over the years, our knowledge of technology and its development has grown, and we as a nation have adapted alongside this growth. Nowadays, everywhere you look, there are people furiously tapping on their smartphones, watching films on their iPads, and reading books on their Kindles. Gone are the days when it was purely businessmen who were seen with a laptop on a train for example. But despite this change, business cards have remained a constant. Regardless of the industry you work in, business cards are a useful way to network. Imagine you’re at an industry function – the best way to leave your impression and ensure that a new contact has your details is by handing over a small piece of card detailing your credentials. The question however, is whether or not the traditional form of business card can withstand the test of time. With the increase in digital offerings, will we see a need to adapt the paper business card? Although the traditional business card is still widely used, it is important to make sure that what you are offering is in keeping with the latest trends. A business card does not have to be plain and simple! 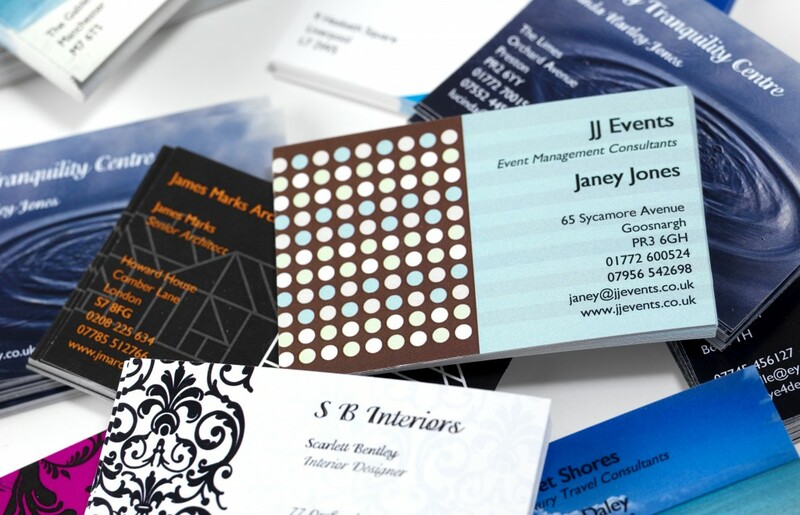 It is vital that your business card displays relevant and current details about yourself and the company. You can show that you are future-looking by including your Facebook, LinkedIn and Twitter contact details. Make your card stand out from the pack by using a new shape. 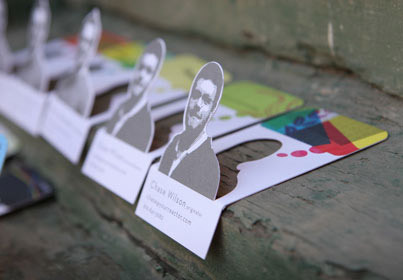 Why not try creating business cards half the size of the traditional card. Your company is more likely to be remembered if your business card is different from the rest. By using both sides of the card, you can use it to your full advantage. The extra space can be used for company images or pictures of products that you offer – the combination of image and text will make your card stand out. Show how much you care about your company offering by really investing in your business cards. Whether your logo is embossed, you decide to use a better quality card, or you use multiple colours, your commitment will show. Make sure your card is used, and more importantly, seen, by crafting it into something practical such as a dental floss holder, a key ring or even a map. While we are on the subject of making your business card memorable, here are some business cards that you will not forget in a hurry. • Design studio REACTOR has come up with a business card design that will ensure that you never forget a name again thanks to the pop up black and white images of the contact person. 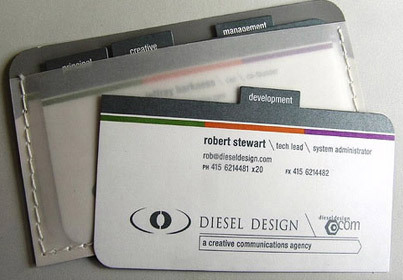 • Diesel Design was the company behind a clever business card design. Useful if you’re collecting business cards from multiple persons in one company, the tab system allows for easy storage, effective organisation and instant location of the business contact. • If you want an easy way to ensure that your company gets noticed, emphasise your offering with this Google search design. 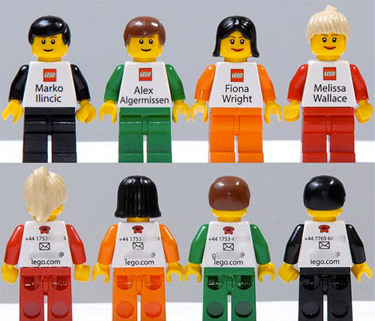 • Working for LEGO gets you your very own personal figure, specially designed to look like you. The front of the t-shirt displays your name and your contact details are on the back. 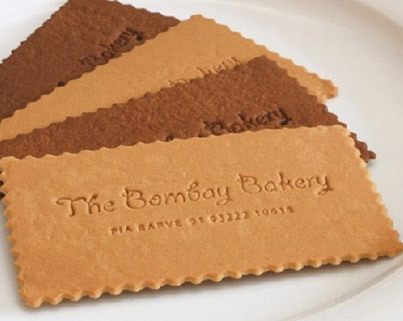 • Your contacts will not have to go hungry again with delicious edible business cards – you’ll just have to hope that they make a note of your details before they take a bite. 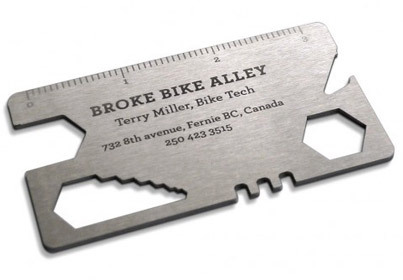 • Or how about a business card that doubles up as a handy tool, like the one designed by Rethink, Canada. It contains several useful bike maintenance tools and there’s even a little ruler down the side. Of course, there are no fixed rules to say that the paper business card must be replaced; rather, it can be complemented with the use of digital technology. After all, the purpose of a business card is to network and to reach your customer base. Widen your outreach by offering two ways in which contacts can keep in touch. This handy app allows you to snap a picture of the business card and the text (contact’s name, telephone number and email address) will be imported straight into your mobile’s contact list. At the moment it is only available for the iPhone so if it was to become more widely used, the developers would have to make it compatible for Android and Blackberry too. Of course, you may decide to completely switch to a digital offering when it comes to business cards. After all, the number of smartphone users is growing steadily per annum, with statistics showing that 48.4% of UK consumers will be using a smartphone by the end of 2013. As may be expected, this figure is set to rise most dramatically among younger adults. The future generation of businesspeople and entrepreneurs are the ones more in touch with the latest forms of technology, so it may make more business sense in the near future to switch to digital business cards. Brought to you by LinkedIn, this app works in a similar way to ScanBizCards mentioned above. Use your smartphone to take a photo of your business card and the app will convert the information to your smartphone’s address book. It is up to you whether you let the app automatically convert the information to a contact or whether you wish to edit the information first. It is also possible to view the contact’s LinkedIn page and see which connections you have in common. With Cardcloud, you can distribute your digital business cards via mobile or email; there’s no need for the recipient to have the app to receive it either. Upon receipt of a card, the app stores your location, serving as a permanent reminder of where you met someone. Cardcloud also lets you add notes to the card and access the contact’s social information. It is currently available for Android and iOS. This mobile app works in conjunction with LinkedIn and Facebook to allow you to create and store contacts. You can scan physical business cards, create a personal profile and connect directly with other Evernote Hello users. The great thing about Bump stems from its simplicity – you literally bump your phone against your contact’s in order to exchange contact information wirelessly. At the moment however, it is only available for iPhone and Android, leaving Blackberry users behind. What’s more, it may take some time to fully replace traditional business cards with this app as not every business person owns a smartphone. 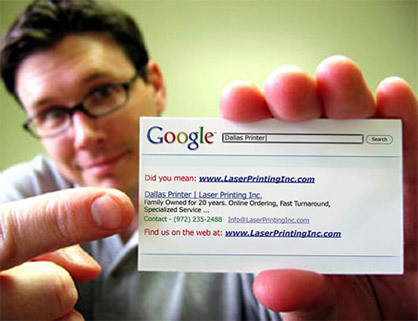 The Google Goggles app can also be used to read a business card. It works by scanning the text on the card and performing a Google search on the terms. It can also recognise QR codes, which is useful for business owners wanting to link to further company information that would be too much to include on a business card. There are however a few drawbacks with the app. Depending on the layout of the business card, the app sometimes performs a search on the block of text as a whole (contact name, job role, email and website) which can result in a less effective query. 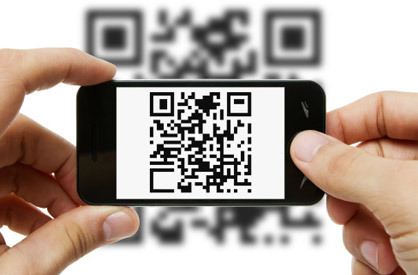 Is the QR code a dying breed of business card? First introduced in Japan back in 1994, the QR (quick response) code did not become popularised in the UK and the US until 2010, when it was sought after as a simple means of connecting both the offline and online worlds. The idea became useful for a whole host of purposes, one of which was the business card. By including a QR code on the front or back of a business card, your contact would only have to scan the code with their smartphone to have instant access to your company website or social media pages. Now, while there is research to show that more and more people are scanning QR codes, there are none that show repeat usage. Does this signify the near end of the QR code as far as business cards are concerned? Maybe the fact that Apple and Android have yet to manufacture a mobile with a pre-loaded QR reader suggests that the companies have no faith in QR longevity. It can be frustrating for users to scan a code, only to be directed to a site that has not been properly optimised for mobile, and thus does not function properly. Unfortunately for users who try to scan a QR code at a train station or in an aeroplane, the lack of Wi-Fi and connectivity will result in a failed connection. As it is already possible to scan a standard UPC barcode (found on most products and packaging) to access online content, it seems rather over the top to also include a QR code. For example, the Weight Watchers’ mobile app allows the user to scan a barcode and connect to a site that details nutritional information as well as the number of ‘points’ in the given product. What can be used instead of QR codes? So if we are to stop using QR codes on business cards, and products in general, there needs to be something to replace them. Some other technologies exist that do a similar job of connecting both the online and offline worlds – perhaps these could be used as an alternative to QR codes. It may be simple but it is often the simpler ideas that work the best when it comes to technology. Every mobile phone provides the user with an SMS function. This makes it easy for any user to send a text message consisting of a short code and to receive a link in reply that will connect them to online content. In terms of business cards, this code could be used to save valuable space and allow people to access further company information. This new technology brings digital objects to life for the user. There are two types of augmented reality available. The first is known as geo-location and uses in-built technology to give you further information about a particular location. The second uses the same tools to bring digital into context with reality. For example, you are able to see how you’d look in that pretty dress you’ve been admiring. Businesses could use this technology to aid customers with finding their store or learning more about the service they provide. Providing the user with instant online interaction is set to be huge for the future. Already we have seen that large numbers of consumers turn straight to their smartphone when needing to find out information. Using UPC barcodes, companies can create a link straight to their website or social media pages, acting as a digital business card within a standard barcode. Following successful implementation of Near Field Communication (NFC) tags, the company behind the creation, Rapid NFC, has recently added NFC business cards to its product collection. For those unaware of what Near Field Communication is, it is a form of wireless technology that makes it possible for communication between electronic devices in short range with a mere swipe or tap. 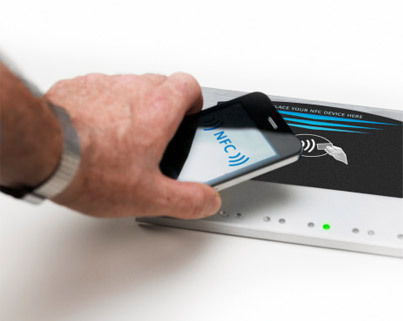 Working predominantly with mobile phones, an NFC enabled phone can use this technology to send information to another electronic device, such as an NFC tag or a payment terminal for example. It is this technology that can be used to enable customers to pay for products by swiping their smartphone against the card terminal. As for the NFC business card, a user need only tap the card with their mobile and they will be directed to online content for that company, whether video or web-based. It works by installing an NFC tag inside the card that is able to then interact with the phone. It is certainly a useful tool for businesspeople and allows them to offer the customer something unique and innovative. For those wishing to take this concept one step further, it is possible to link an NFC business card to a vCard. This would mean that once the user has tapped their smartphone against the NFC business card, the information detailed on the card would then download into a contact profile on the mobile. Once this information download has taken place, the user would then have instant access to the business card content stored on their phone, so it wouldn’t matter if they lost the physical card at a later date. Although there have been many advancements in technology where business cards are concerned, it is still worthwhile considering what the future could have in store for the humble paper business card. While it remains a trend to hand over something physically at a networking event, there is no reason why business cards will not merge further with technology in the years to come. Imagine a business card that was sound enabled. With a simple push of the button on the card, the user would hear you introducing yourself and giving details of your contact information. It can be a hassle to constantly have to update your stock of business cards each time new information is required. But what if someone were to create a business card that would update itself when necessary? The current availability of smartphones, smart televisions and even smart watches suggests that it is not outside of human capability to use technology to create a smart business card. How is this for an exciting business card idea? – The user activates the card and a mini holographic version of the business contact will pop up to announce the recorded company details and contact information. • Is there a replacement for business cards? With the rise in social media and sites such as Facebook, Twitter and LinkedIn being so popular among the masses, could there be an argument to suggest that we do not need business cards any longer? Consider our ability to update Twitter and Facebook instantaneously as often as we like. Now consider that on sites such as LinkedIn, it is possible to exchange business contacts and for those in search of your talents and services to personally seek you out. This leaves business cards as the sort of middle man that can quite easily in this technological age, be done without. Despite the above however, there still seems to be a preference among businesspeople to hand over something tangible and traditional business cards are still widely in use. While digital versions of business cards are currently being worked on, there remain some people who prefer to do business the traditional way, the way it has worked successfully for many years. With that in mind, it seems as though business cards, in some form or another, are most definitely here to stay. 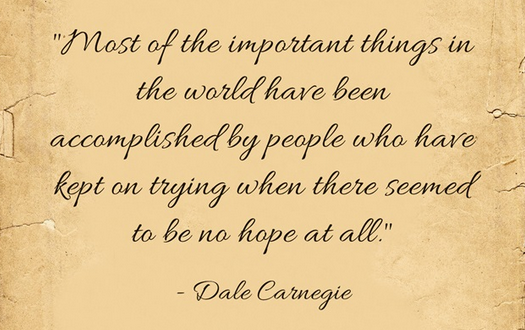 5 Quotes Every Small Business Owner Should Keep on their Fridge! Here at 123Print UK we love inspirational quotes. They remind us what we’re working towards and that’s why we have our mission statement printed all over 123Print UK HQ – ‘helping you, be you’. Below is our favourite 5 quotes which we found very inspirational and particularly poignant for you, the small business owner. All these handpicked pearls of wisdom come from the mouths of some of the most successful people who have ever lived. Enjoy! 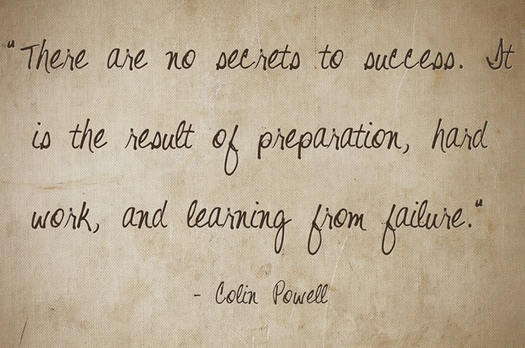 Lesson: It’s important for every small business owner to remember that failure is always going to be a key part of your success, and that learning from failure will result in better preparation for your next project. Lesson: You can’t always expect your ventures to be a big success at first. Of course some businesses will grow beyond their imagination quickly, but for the majority small business owners we should always remember that with time and experience you will become better and eventually bigger. Lesson: Even when your competitors seem to be enjoying a much more fruitful gain than you, or there are bigger companies publishing more advertisements at your customers, it’s important to keep trying, even when you don’t believe you can win. Slow and steady wins the race! Lesson: Remember that as important as it is to keep trying, you should also remember that failure is a measure of success; so admit your mistakes and failures quickly and get on with improving and learning from them. Lesson: As a small business owner you may never be able to match your competitors with fancy advertisements or a huge marketing budget. 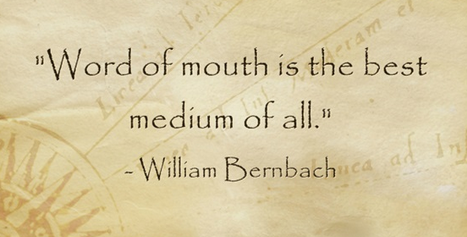 But – when you are perhaps feeling disheartened, remember the words of William Bernbach, Word of mouth will always be the most powerful medium when advertising your business and it’s up to you to ensure your customers are saying the right words. 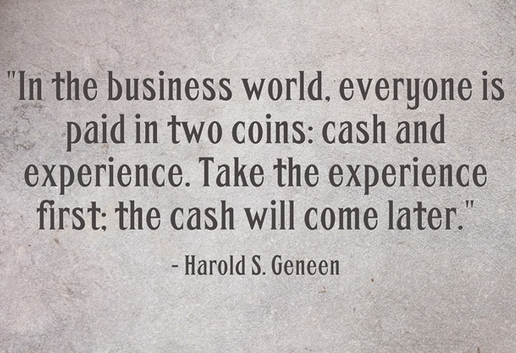 Do you like our Small Business Quotes? Why not get them made onto magnetic cards with 123Print UK here! Got your own favourite quotes? Please share below or on our Facebook page.